This is, undoubtedly, one of the classic scientific instruments of the Observatory. It was used continuously from 1901; nowadays, however, the sky over Attica is rather unaccommodating, and thus its use has been restricted to demonstrations for the public. Until 1960, when the Newall telescope was acquired, Doridis’ telescope was the largest one in the Observatory. 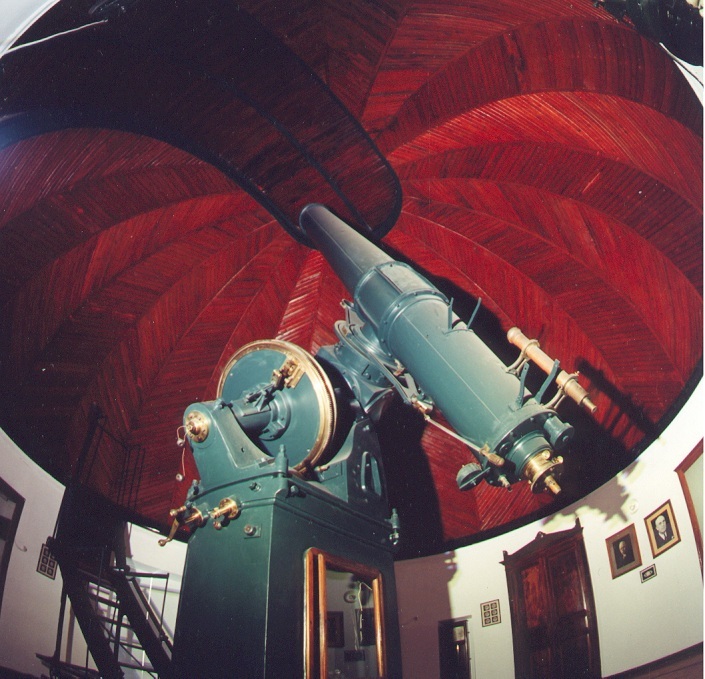 The telescope was purchased with funds from the Dorides endowment (a Greek of Diaspora) and after many adventures it was placed in 1905 in a building that was erected especially for it, approximately 150m south of the main building of the Observatory, on the hill of Pnyka. In a 1950 article, it is mentioned that the stellar size that could be observed with the Dorides telescope is 15.2. This is indicative of the quality of the atmosphere over Athens at that period – it suffices to note that today the magnitude that can be observed with the Newall Telescope (the lens of which has a 63cm diameter as compared to the 40cm of Dorides telescope) can with difficulty reach 13, on a clear night.